We have a team of qualified service technicians standing by to help you with any of your service related needs. From tire rotations, brake pads or transmission problems, we’ve got trained technicians who are able to help. Please use the buttons below to schedule service at our dealership or contact our Service Department. You can also call us at (217) 352-4161. A 10,000-mile check-in we call Service A. 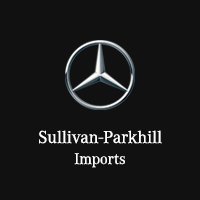 This is when our expertly trained technicians not only perform a comprehensive, step-by-step vehicle inspection, but replace certain key parts with Genuine Mercedes-Benz Parts. It´s the simple and convenient way to prepay for required services, so you’ll know that critical maintenance needs are taken care of right from the start. Mercedes-Benz Star Service Pre-Paid Maintenance allows you to ˜lock in˜ the costs of these required services before your first service visit or 10,000 miles, whichever comes first. — So you can avoid unwanted surprises. Plus, purchasing a Mercedes-Benz Star Service Pre-Paid Maintenance plan does not confine you to only one dealership for your service needs. The plan follows you, so if you require service when you´re on the road — or if you relocate — your plan will be honored at any authorized participating Mercedes-Benz dealer. It´s extremely important for the long-term health of your Mercedes-Benz, and the safety of you and your passengers, that you have your Mercedes-Benz serviced according to its regular maintenance intervals. Check your maintenance manual or consult your authorized Mercedes-Benz Dealer for specific maintenance requirements and recommendations. For all Mercedes-Benz vehicles we recommend using an authorized Mercedes-Benz Dealer for your service needs. At a Mercedes-Benz Dealership you will get the most up-to-date expertise on the components that keep you safe on the road, like the braking and electrical systems, fluid levels, right down to the condition of your tires — which are your connections to the road. *For details, exclusions, and limitations on Mercedes-Benz Premier Prepaid Maintenance, contact your dealer, visit www.mbusa.com/maintenance or call 1-800-FOR-MERCEDES.